Thursday 2nd June saw the launch of our third regional group: InterEngineering Midlands. Regional Co-chairs Charlotte Robinson and Fiona Connor organised the “Starting Out” event at The Loft Lounge in the heart of the Gay Village in Birmingham. Peter (Gracey) and I were there to support. The event was a great success with over 30 engineers attending from a broad diversity of engineering companies, and also attendees. We almost had a gender balance with attendees which was absolutely fantastic. Peter gave an introduction to the purpose of the evening and introduced Charlotte and Fiona who gave an overview of their plans for the region. They requested attendees to feedback on what events they would like to see, and what support each individual may require at their respective companies. I gave an overview of InterEngineering achievements to-date, particularly conveying the lead we have taken in working with the UK Government on creating a more inclusive engineering industry. 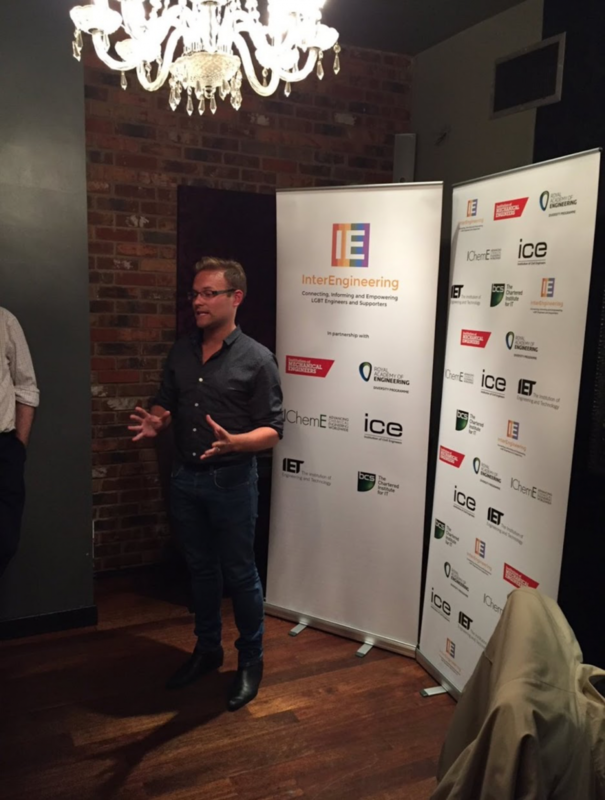 What I found particularly interesting about this launch was the presence of engineers from some companies who already have established LGBT+ networks. It highlights the need for InterEngineering to have local presence across the UK through regional groups. Even some company networks can be skewed to one geography or cluster where there is more activity or a higher density of employees. Continuing our expansion and having a presence locally will ensure we can connect, inform and empower every LGBT+ engineer across the UK. We are interested in hearing from engineers who would like to be involved with us. Please send us an email to register your interest. Charlotte and Fiona have some exciting events planned for the Midlands group. Why not sign up to our mailing list and follow us on social media to be kept up-to-date. Check out our events page here for forthcoming events. Read more about our Charlotte and Fiona on our Committee Member page.